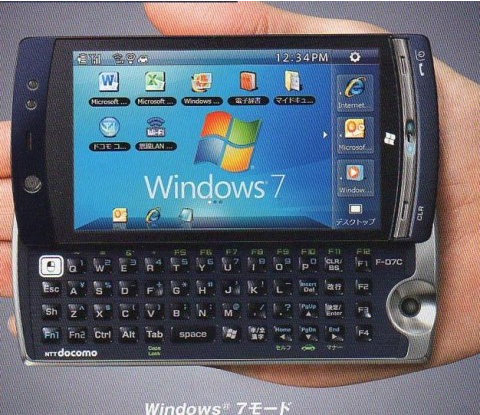 Is Fujitsu Prepping A Symbian/Windows 7 Dual Boot Cell Phone? Take this with a grain of salt: Japanese tech blog Juggly is reporting [JP] that Fujitsu is working on a cell phone with both the Symbian and Windows 7 OS (not Windows Phone) on board. According to the article, the handset will be released by Japan’s biggest mobile carrier NTT Docomo as part of its summer line up. Again, the existence of the phone is not confirmed by Fujitsu or Docomo (which means the pic can be real or fake – my feeling is it’s real). As always, we will cover Docomo’s entire lineup when the company presents it.